Freebies from The Old Schoolhouse! Guess what!!! The Old Schoolhouse is letting me.. yes ME!!! Give away some freebies from THEM to you! Pretty cool eh? It's rather neat, I've been working with these fine folks for quite some time now and they put out some good materials and are always striving to do more and do better. I took some time to think about items I was interested in, subjects you might be interested, and then something that just might be helpful or an encouragement to you. Art! The posts that get the most comments on my site tend to my posts with art of some sort in them (that or science)... but art is always a good one to pursue.. it relaxes a body and gets the brain thinking in different ways which helps the learning process. So I choose this one specifically for those who comment the most.... Let's do art eh? I picked this one out simply to be an encouragement to you. Don't we all need to take time to rest and refresh ourselves? Are you a weary mama, or looking for a little encouragement? This 31-day devotional will help you to stop and gain a little perspective. To be honest, I picked this one out for me. I want to start selling things for the home education market and thought this might be helpful. So why might YOU be interested in it? Because perhaps YOU would like to do the same? Perhaps you have a skill or talent that you should let shine forth? Perhaps there is an entrepreneur hiding in your skin somewhere. If so, pick this up and learn a few tricks to the trade AND if are really interested in entrepreneurialism.. Go check out Mom's Plan who chose a book about this very topic as a giveaway. What is your business dream? Packed with informative, inspiring articles about business and marketing strategies, this E-Book will help you reach your ambitious business dreams and turn them into reality! So what's the trick to getting these goodies? Go to The Old Schoolhouse site and create an account. Put these goodies into your account and then use the code: AVCREW16. It only works with these three items. And it's good til the end of April. If you have a chance, why not stop by The Old Schoolhouse’s Facebook page? It’s an excellent way to say thanks for the freebies. If you “like” the page, you’ll get information on other great freebies as well! Just wanted to let you know about a site I was alerted to a few months back. Never got around to actually telling anyone about. It has free tools to help parents and educators teach sight words to kids from Pre-K to 4th Grade. Is up at Educents for free right now. :) This is a series of ebooks that help children learn what it means to be a doctor, pilot, artist, farmer and so forth. Wouldn’t you like real-life, Christian mentors and heroes to help your children aspire to all that God desires for them? We want to help them explore the world of opportunity around them and maybe spark their interest toward a special calling through the WannaBe Series. Artist, chef, firefighter, vet, military, video game designer, farmer, police officer, pilot, doctor and missionary. I want to be able to review those sites but it's getting late so I"m doing up a post so I can check them out late. Makes sense eh? Have fun with History. American History Teachers, homeschoolers, and history buffs now have an online resource full of American History streaming videos, activities, links and resources - because history is fun! Home Learning Family. Our Fave Free Resources In these crazy economic times who couldn't use some FREE inspiration! There are so many great curriculums and games available online totally FREE! There are also some interesting programs that will send you free products to use in your home. Be sure to check back often as I will be updating this list much as possible! Every Bed of Roses. 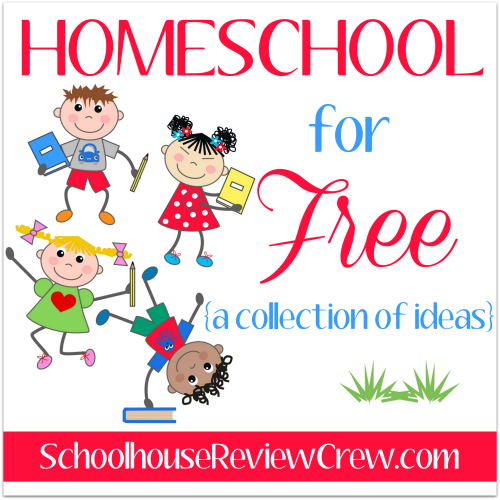 Today I would like to share some of the places I have found FREE resources for homeschooling outside of my local library. Only Passionate Curiosity. all sorts of freebies for language arts, fine arts, science and more. Classical House of Learning. Hello! I'm excited to offer my FREE literature guidesfollowing the reading suggestions outlined in classical education books such as The Well-Trained Mind. I was frustrated that no one seemed to have the sort of guide I was looking for: a secular, multi-level, four-year history cycle, open-and-go, easy to use, 36-week program. Well, you know how the saying goes. "If you want something done, you've got to do it yourself." Lots of free printables like handwriting paper, notebooking pages, lapbooks, Bible printables, math, science, help pages, etc. Math, language arts and science sections. Oklahoma Homeschool. I have written these units with the goal of studying history and science on alternate days, two times per week each (Monday & Wednesday - History, Tuesday & Thursday - Science). I recommend spending 1 - 2 hours each day per lesson depending on the ages, abilities, and interests of your children. You WILL NOT complete everything listed in these units. Pick and choose the reading selections and activities as they meet your family's needs and interests.